Owing to a modernized infrastructure for trouble-free processing & post-production, we are instrumental in offering premium quality Bubble Bag. 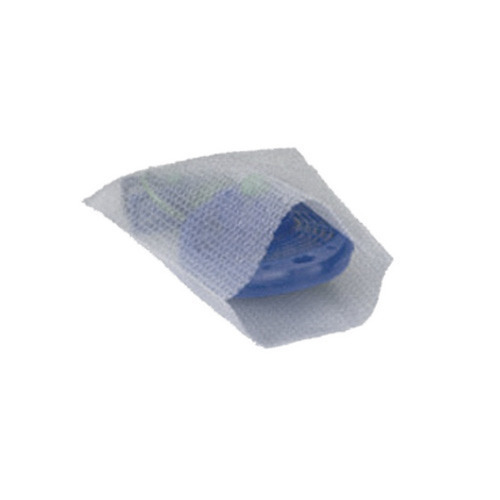 High on demand in various industries, the offered bags are widely used to protect material against shock and vibration. In adherence to set industry standards, our offered bags are manufactured using quality assured raw material and progressive technology by our skilled professionals. Furthermore, the offered bags are also available in various sizes to cater special requirements of our clients. Established in the year 2007, we “Shreeraj Packaging”, are a notable Manufacturer and Supplier of the best class Foam Packaging Material, Trimix Flooring Mat, Thermocol Packing Material, BOPP Adhesive Tape, PVC Blister, Plastic Strap, PP Sheet, Bubble Bag, etc. Our offered packaging products are manufactured in accordance with industry set standards by using premium quality basic material and the latest technology. These products are widely demanded in numerous industries for safe and secure packaging of various goods and commodities. Provided packaging products are well known among our clients to their high strength, fine finish, moisture resistance properties, eco friendliness and durability. After considering clients’ numerous choices, we provide these packaging products in several sizes, thicknesses, colors and other such specifications to choose from. In order to provide flawless range at clients’ end, we stringently check these packaging products against numerous parameters. Our valued clients can avail these packaging products from us in bulk quantity at market leading rates. Besides, we also provide Fabrication Service of Acrylic, Foam and Polycarbonate Sheet. These fabricated products are generally used for the packaging of various electrical, glass and other similar products. Our provided fabrication services are imparted by our skilled professionals. Provided fabrication services are well known due to their hassle free management, perfect execution and excellent work quality.